Buy and sell new and used ski and snowboard equipment! The Wild Mountain Ski Patrol will be available to assist in you in choosing the right equipment. Bring in your used equipment to sell at the swap during any of the dates and times listed below. The price of the equipment is up to the seller. We will have people on staff to make suggestions. The cost is $5.00 per person to put items in the swap. There is a 15% commission on items sold. All proceeds go to the Wild Mountain Ski Patrol. 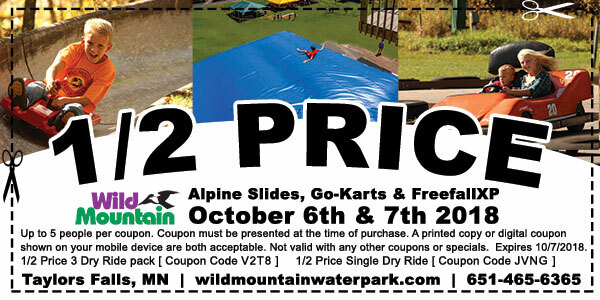 1/2 PRICE ALPINE SLIDES, GO-KARTS & FREEFALL XP! Last weekend to ride the Alpine Slides, FreefallXP or the Go-Karts for the 2018 season. Winter Season Pass holders ride the FreefallXP, Alpine Slide and Go Karts for free on October 6th and 7th. Everyone else, please use the coupon below for 1/2 price Dry Rides! Print the coupon to present at the ticket counter or simply show it on your smartphone at the time of your purchase. 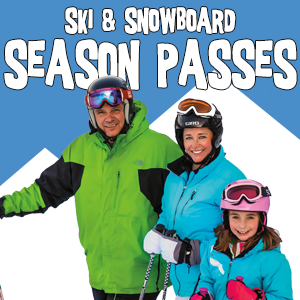 Monday, October 8th is the last day to save 15% on your 2018-2019 Season Pass. 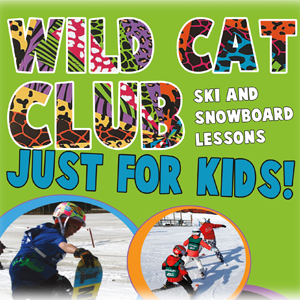 Season Long Lesson programs designed just for kids! 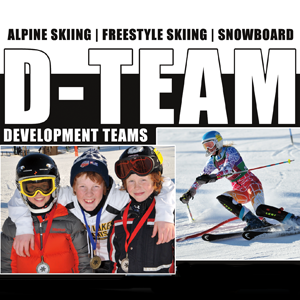 Competition Teams for youth and teenagers to develop and fine-tune their skills.